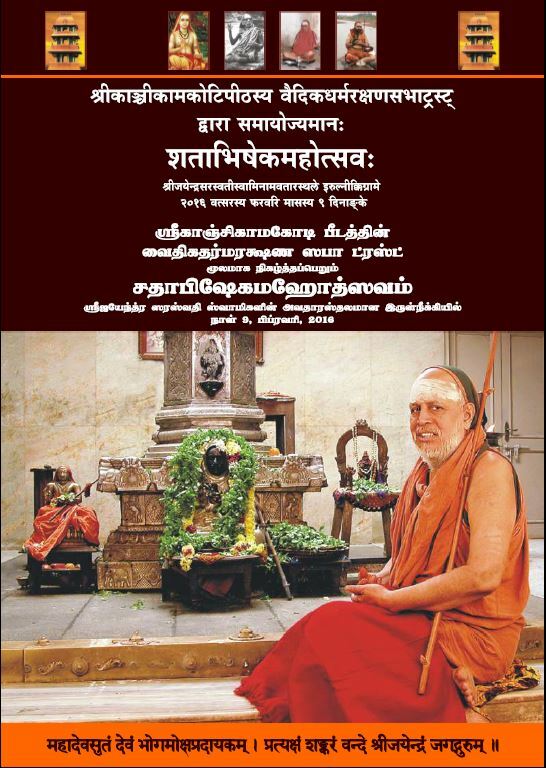 Sathabhisheka Mahotsavam of HH Pujyashri Jayendra Saraswathi Shankaracharya Swamigal will be celebrated at Irulneeki - the Avatara Sthalam of His Holiness 9 February 2016. 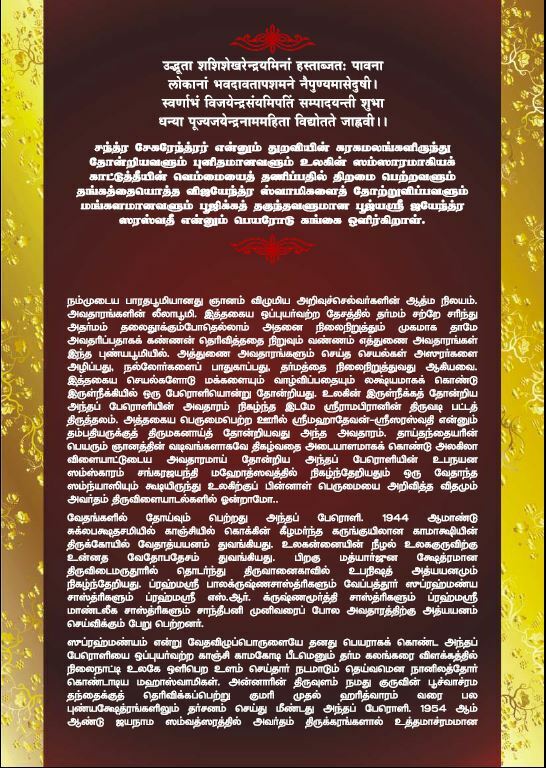 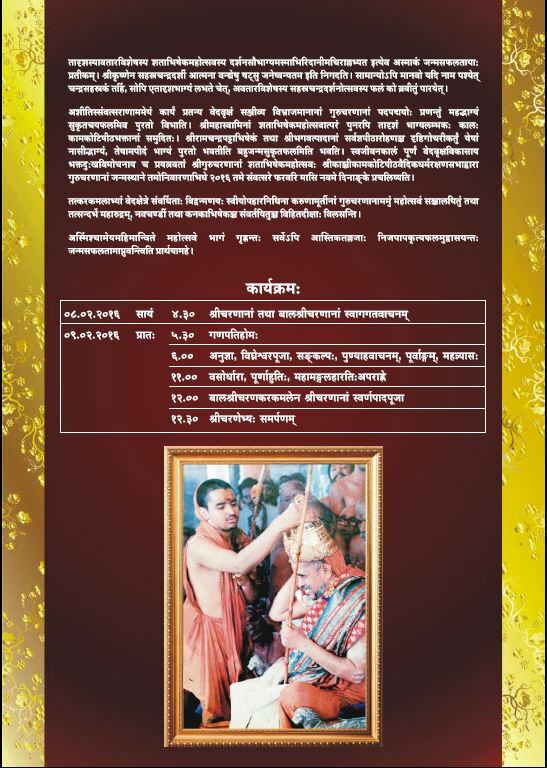 Swarna Pada Puja will be performed to HH Pujyashri Jayendra Saraswathi Shankaracharya Swamigal by HH Pujyashri Shankara Vijayendra Saraswathi Shankaracharya Swamigal. 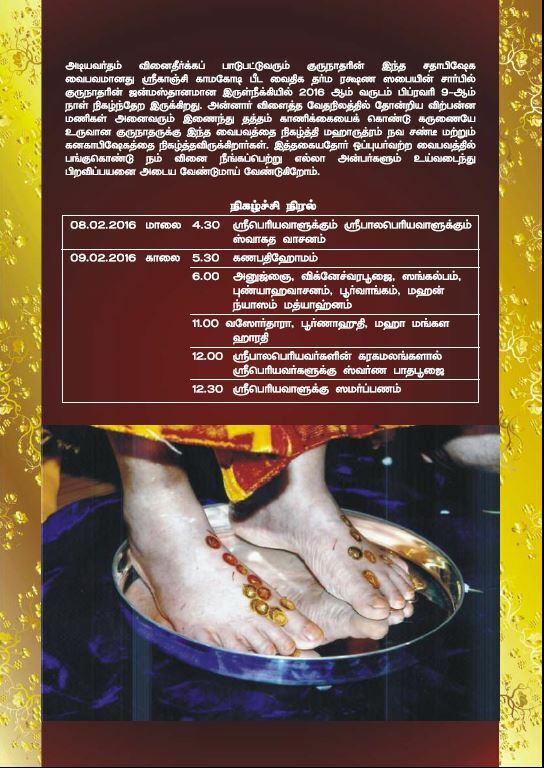 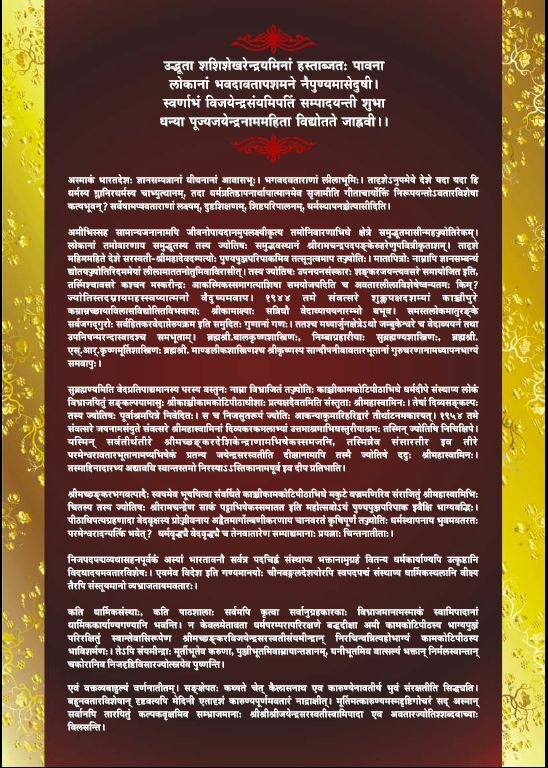 Devotees are invited to participate in the event and receive the blessings of Pujyashri Acharyals.